The world’s most successful musical theatre group, Collabro, are set to release their highly anticipated third album ‘Home’ on 3rd March 2017, through their own label Peak Productions. Setting up their own record label and becoming fully involved with marketing and promotion, is giving the band the opportunity to have complete creative control over their own music and the way its released; from unveiling the album track list as a digital advent calendar as a Christmas present to their fans, to setting up an online poll for fans to choose the tracks that would make the final cut of the new album. 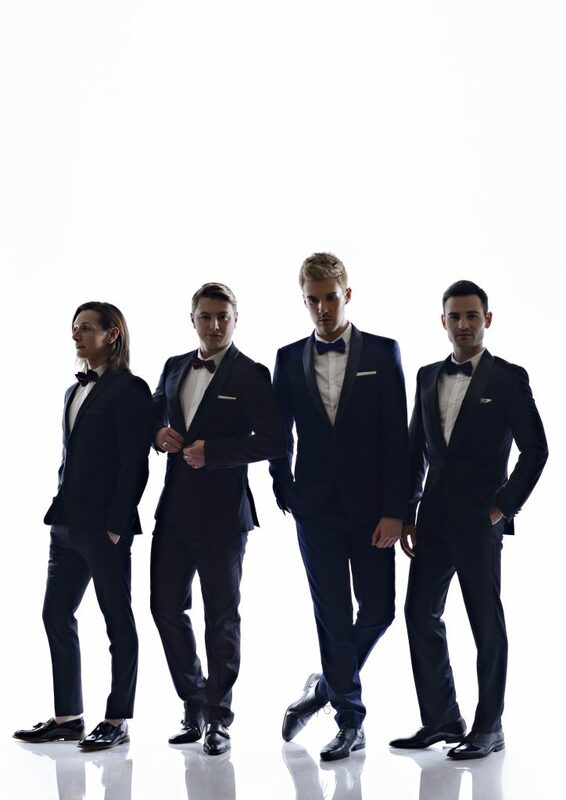 The new release marks their debut as a quartet – exactly 1000 days after they won Britain’s Got Talent – Jamie, Matt, Michael and Tom feel this album “is a reflection of us coming home”; full of musical theatre classics, the genre that won them the biggest share of the vote as well as winning the hearts and minds of the British public. Lending their hand-picked selection of favourites, ‘Home’ features musical classics from stage and screen that include the iTunes instant gratification track ‘This Is The Moment’ (from the sensational Jekyll & Hyde chosen by fans by an online poll), ‘Beauty And The Beast’ (taken from the iconic Disney film) and ‘Oh What A Night’ (featured in the West End smash hit, The Jersey Boys). The album also features one original track ‘Lighthouse’ written by Ben Adams formerly of BRIT Awards-winning boyband A1. 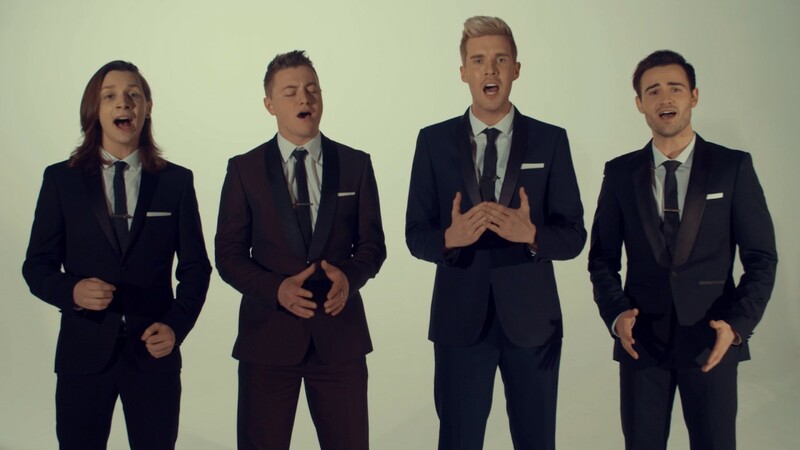 Collabro’s first album ‘Stars’ charted at No. 1 knocking Ed Sheeran off his record-breaking streak. The album became the fastest selling debut album of 2014. Their second album ‘Act Two’ followed its predecessors’ success, entering the UK charts at No. 2 in the summer of 2015, again becoming one of that year’s biggest selling records. The group have sung in front of royalty at the Royal Variety Performance, V.E Day and Windsor Castle, and also performed at huge venues in front of thousands at the London O2 Arena and Wembley Stadium, most notably Soccer Aid 2016, in front of 7 million viewers. In addition to the success in the UK, where they completed two major sell-out tours with headline dates at the London Palladium and the Royal Albert Hall, they band have also performed multiple times to 30 million viewers on Music Station and Sukkiri in Japan, as well as completing multiple international tours and gaining a big fan base in the US. COLLABRO met in 2014 above a pub in London for their first rehearsal, just a month before the newly formed band went on to rouse the whole of the Hammersmith Apollo into a standing ovation during their debut public live performance of ‘Stars’ for their audition for Britain’s Got Talent. Having won their semi-final heat with over 63% of the votes, they then won the overall competition with one of the biggest majorities ever and subsequently signed to Simon Cowell’s label Syco, becoming label mates with the likes of One Direction, Little Mix, Susan Boyle and Il Divo. Empowered by their new set up, the band is excited to announce a special live show a The Hippodrome in London on 2ND March, where they will debut the entire album for the very first time in front of their solid fan base or how they like to call them, ‘Collaborators’, who have loyally supported them along the way.